The Dane C.F. Tietgen set up three small telegraph companies to connect Scandinavia, England and Russia. 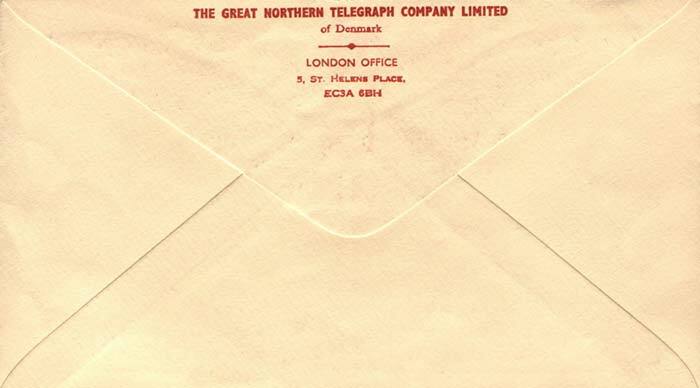 The Danish-Norwegian-English Telegraph Company, set up in 1868, contracted R.S. Newall and Company to manufacture and lay the following cables: England - Denmark and Denmark - Norway. CS's Archimedes and Chevy Chase were used for the work. In the same year the W.T. 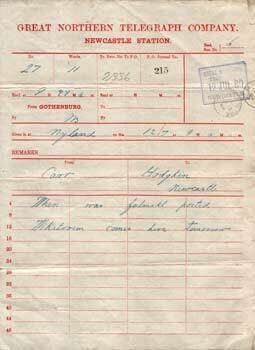 Henley Telegraph Works Company manufactured and laid a cable for the Danish-Russian Telegraph Company between Denmark and Bornholm and in 1869 one from Bornholm to Russia, both laid by CS La Plata. 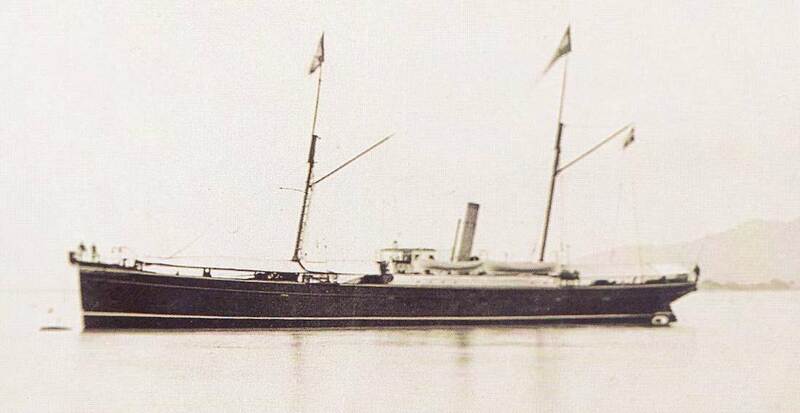 Also in 1869, this time using CS Caroline, Henley's laid a cable from Sweden to Russia. 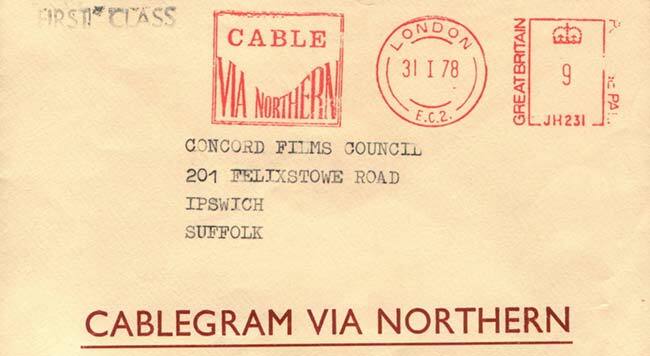 Again in 1869 Henley's laid a cable from England to Norway for the Norwegian-English Telegraph Company using CS La Plata. 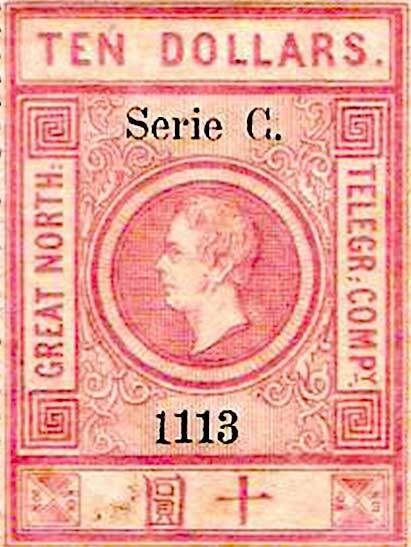 Shortly afterwards Tietgen merged the three companies to form the Great Northern Telegraph Company. One of the schemes put forward after the failure of the Atlantic cables was an overland line through Russia, a short cable across the Bering Strait and a landline through what was then Russian America (Alaska) to link up with the American domestic network. In 1865 Western Union were awarded the concession for the American side and the Russians undertook the building of the rest of the line. The success of the 1865-6 Atlantic cables made the scheme obsolete and it was abandoned in 1868 by mutual consent. The Russians terminated their overland line at Vladivostock and then asked for tenders to lay cables to connect Russia with China, Japan and Hong Kong. 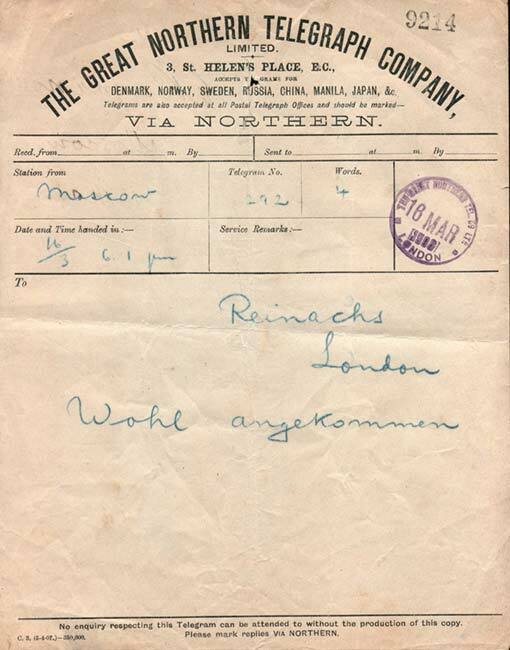 The Great Northern Telegraph Company won the contract. 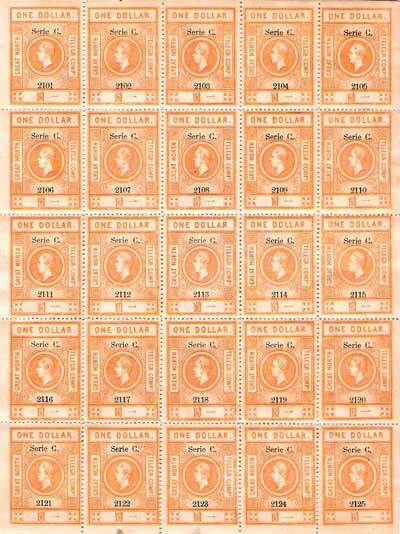 Great Northern Telegraph Company revenue stamps from China, c. 1872-1875. 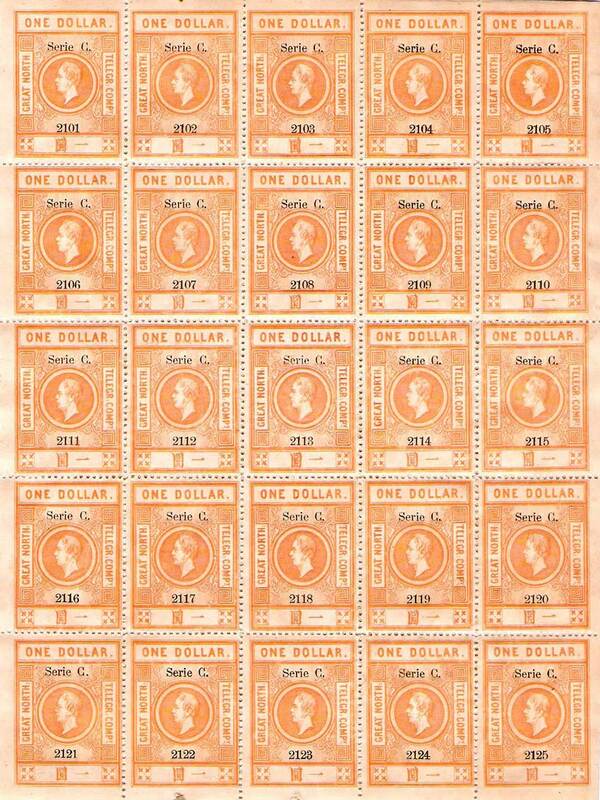 The one dollar denomination is shown above; other denominations included 25 cents, three dollars, and ten dollars, in variouis colours. The portrait on the stamps is of Hans Christian Oersted, the Danish physicist and chemist who was one of the earliest researchers into the relationship between electricity and magnetism. This company was set up in 1870 to carry out the Russian contract. Hooper's Telegraph Works Limited were contracted to manufacture and lay the relevant cables. They sub-contracted the armouring of the cables to Siemens Bros.
Three cable ships, CS Great Northern, CS Cella and CS Africa, undertook the main cable laying work, with a Danish naval vessel, the Tordenskjold, laying some of the shore ends. 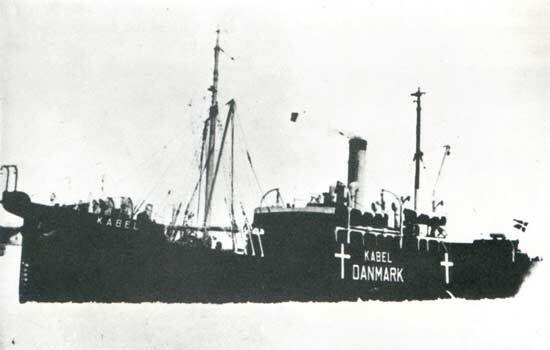 This ship was the first Danish vessel to pass through the Suez Canal. Three cables were laid during 1870-1: Vladivostock - Nagasaki 772 nm; Nagasaki - Shanghai 491 nm and Shanghai - Hong Kong 950 nm. They opened for traffic on 1 January 1872. At the same time the Extension company merged with the parent company. Edouard Suenson supervised of the installation of these cables. He had spent many years in China while with the French Navy and was able to overcome the opposition to the cables by some parts of Chinese Society. 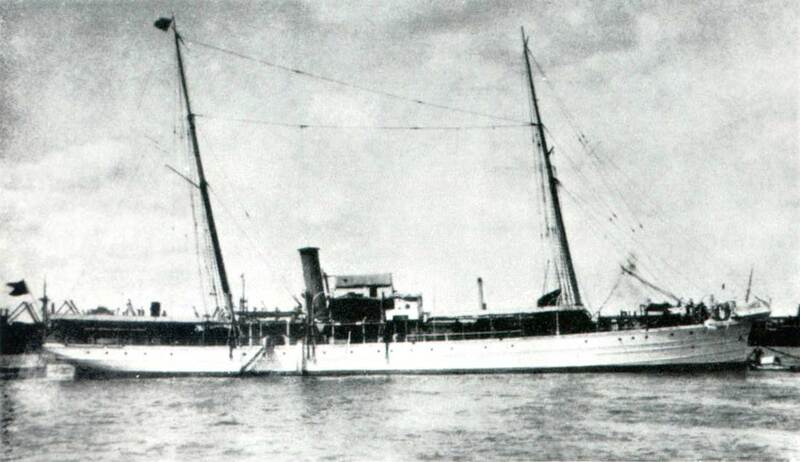 The Shanghai cable was first brought ashore on the small island of Gutzlaff, in the mouth of the Yangtse and then the cable was laid up river to Shanghai. Men armed with rifles patrolled the river to prevent boatmen from anchoring where the cable lay. Another problem was that of telegraphing Chinese characters. The company developed a four figure code which assigned a unique number to each of the most commonly used characters which could then be telegraphed and deciphered by use of the code book. 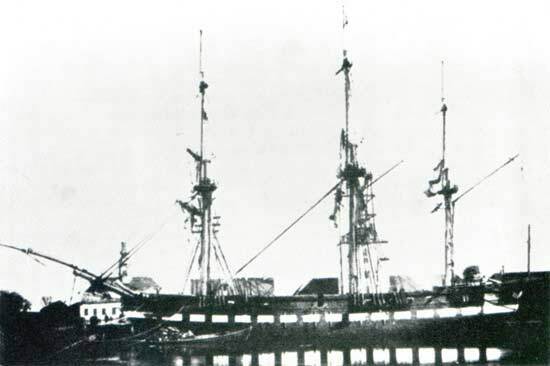 The cables from Vladivostock - Nagasaki - Shanghai were duplicated in 1883, manufactured by Telcon and laid from CS's Scotia and Seine. On the Shanghai - Hong Kong section of the original cable a connection was made into Amoy. Mr Antti Johannes Rintala was from Finland and travelled with his two daughters Signe and Leena Rintala, who both performed as song- and dance artists all over Asia during the late 1920s and early 1930s. 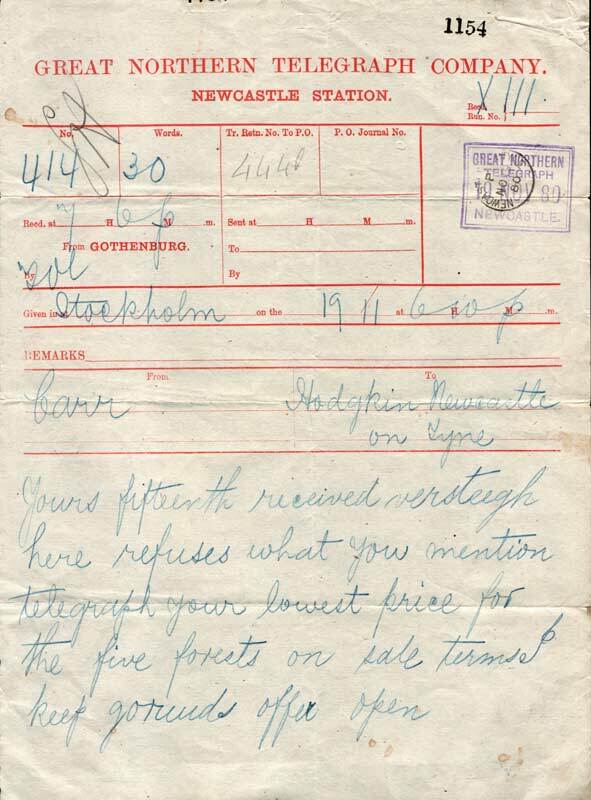 On the card it is written that Signe Rintala was invited as a guest to the Great Northern Telegraph Company in Amoy. 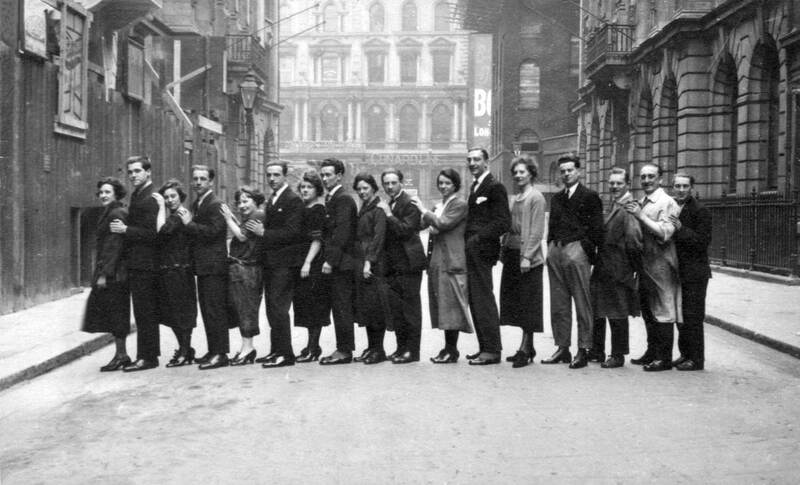 I do not have the exact date but it is around 1930. 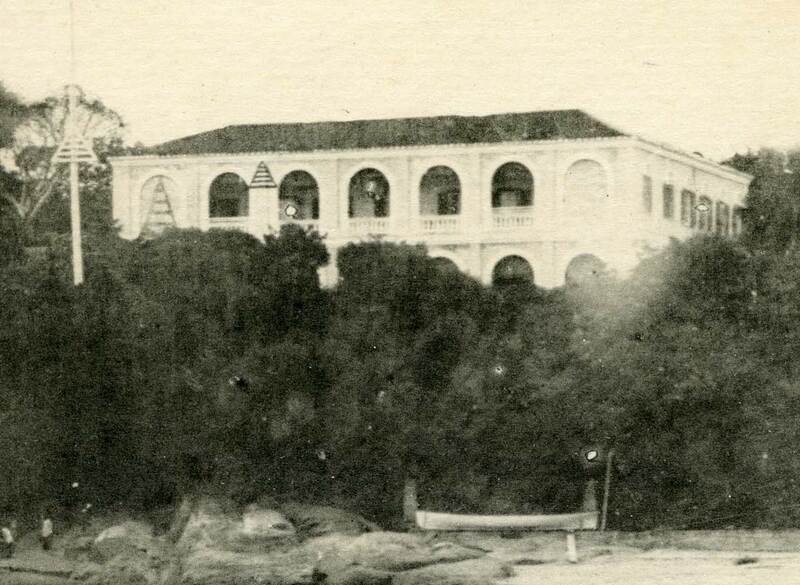 They wrote something like: "The company's office and the great palace residence for the officials". 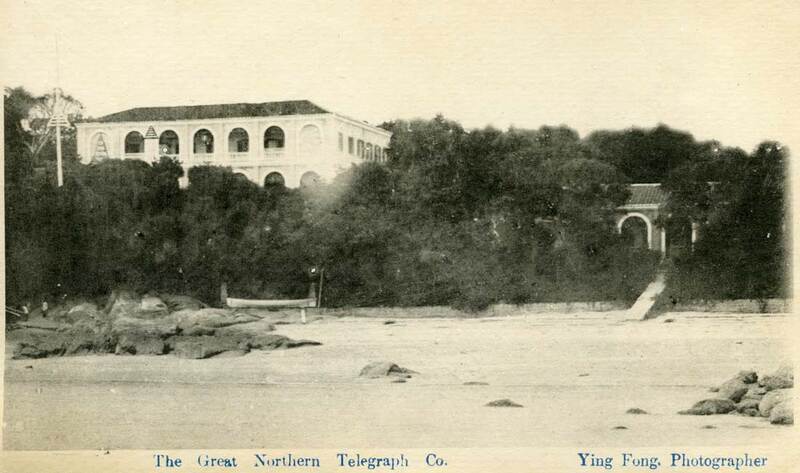 Towards the end of the 19th century the Great Northern and the Eastern Extension came to an agreement to pool income from the various cables in the Far East in the same way that the Atlantic pool operated. Woosung - Tschifu 516 nm laid by CS's John Pender (2), Sherard Osborn and Store Nordiske (1). Fusan - Tsuschima 72 nm laid by CS Store Nordiske (1). Tschifu - Taku (1) 220 nm by CS Store Nordiske (1). Tschifu - Taku (2) 220 nm by CS Store Nordiske (1). Tschifu - Wei Hai Wei laid by CS Store Nordiske (1). Tsingtau - Tschifu laid by CS Sherard Osborn. The Germans laid a cable between Tsingtau and Shanghai, in 1900, which was taken over by the other two companies after World War I. This cable was manufactured by Felten and Guilleaume with CS Von Podbielski carrying out laying and CS's Sherard Osborn and Store Nordiske (1) assisting. In Europe three cables were laid in 1873: one between Oye, France and Fanö, Denmark 383 nm in length and laid by CS's La Plata and Africa; one from Skagen, Denmark to Marstrand, Sweden, 34 nm, laid by Africa; and a duplicate England - Denmark cable, also laid by Africa. All three cables were manufactured by W.T. Henley's Telegraph Works Company. In 1880 Telcon were awarded a contract to manufacture and lay a cable between Newbiggin by the Sea, England, and Marstrand, Sweden: they used CS Edinburgh to lay the 503 nm cable. Telcon laid a duplicate cable in 1890. 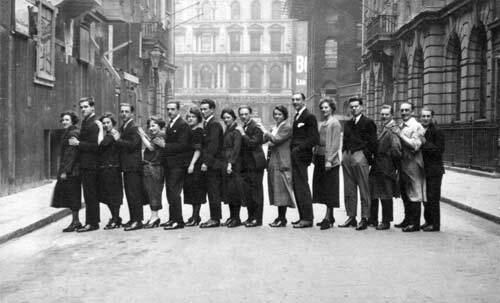 Great Northern Telegraph Company Staff outside the company's London office at 3 St. Helens-place, Bishopsgate-street Within. 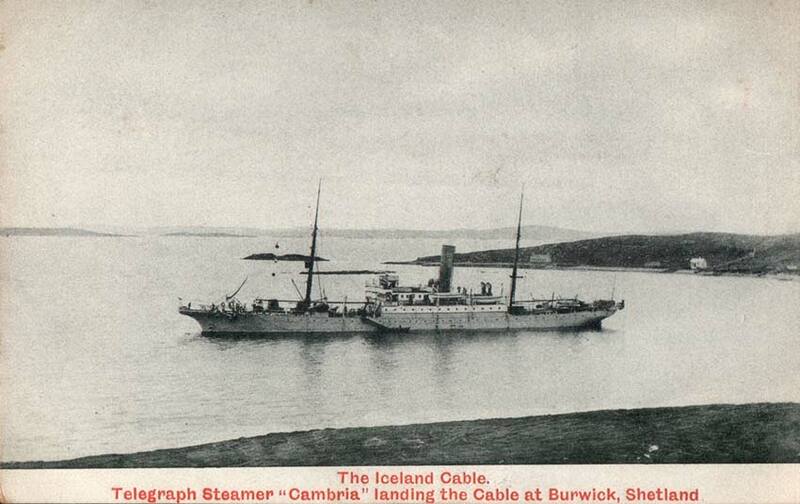 In 1891 Telcon, using CS Scotia, duplicated the Oye - Fanö cable and in 1906 the same firm, this time using CS Cambria. linked Lerwick, Shetland Islands - Torshavn, Faroe Islands - Seydisfjordur, Iceland. Cable lengths were 219 nm and 316 nm respectively. The former cable station at Seydisfjordur is now a technical museum. cable at Lerwick, Shetland Islands. In 1892 Norddeutsche Seekabelwerke manufactured 904 nm of cable and laid it between Moen, Denmark and Liepaja and St. Petersburg, Russia, using CS Stephan. Other cables laid were a triplicate Sweden - Russia cable in 1911, and a triplicate England - Denmark in 1913, manufactured by Siemens Bros and laid by CS Silvertown. Siemens also manufactured and laid the Archangel - Murmansk cable of 1918 using CS Faraday (1) - this connected to the 1917 cable from England to Archangel. 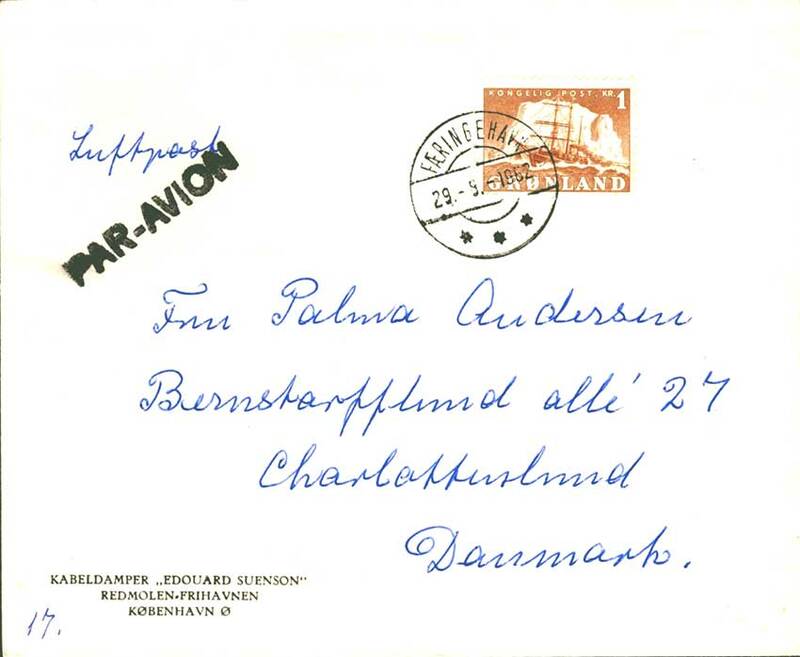 A duplicate Denmark - Bornholm cable was laid in 1948 by CS Edouard Suenson. Following the end of the second world war only the two Vladivostock - Nagasaki cables were brought back into use and the rest were abandoned. 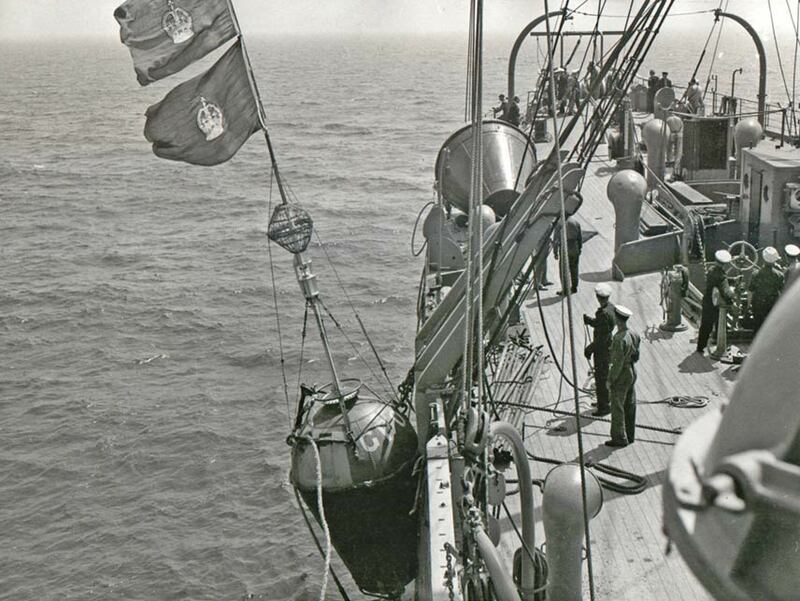 The Denmark - Poland cable was repaired as were those across the North Sea and the cables to Russia. 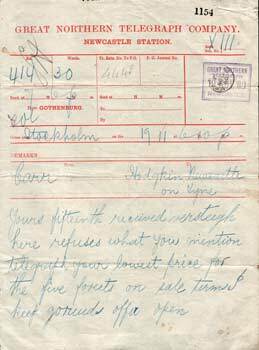 It was during this work that the company lost CS Karla when the ship struck a mine in the Gulf of Finland on 12 January 1947. 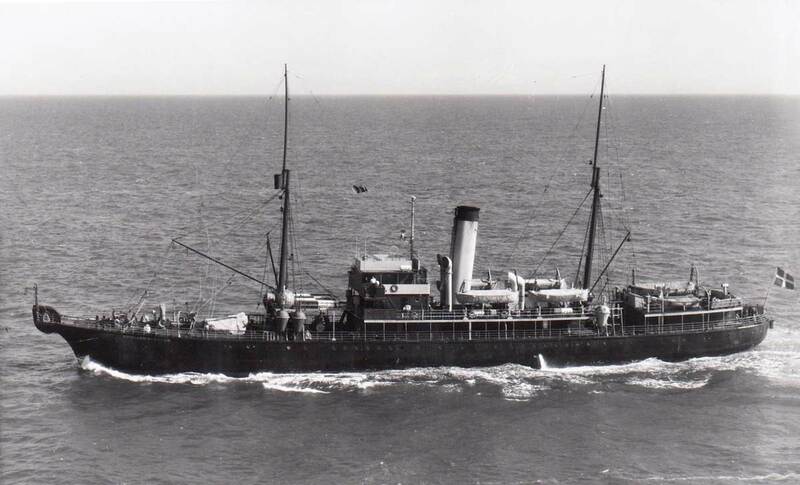 In 1950 Telcon manufactured the first co-axial cable for the company and laid it between Weybourne, England, and Fanö, Denmark, using HMTS Monarch (4) and CS Edouard Suenson. It carried 24 telegraph circuits which were increased to 72 by the insertion of two repeaters. The capacity was again increased to 168 channels in 1957 by the insertion of five repeaters, which replaced the earlier two. In 1960 Great Northern along with the Danish PTT and Polish PTT had a co-axial cable laid from Mielno, Poland, to Bornholm and on to Avedöre near Copenhagen. Norddeutsche Seekabelwerke manufactured and laid the cable using CS Nordenham. CS C.E. Krarup laid the shore ends at Avedöre and Blykobbe, Bornholm, and CS Edouard Suenson laid them at Rönne, Bornholm and Mielno. Four repeaters were installed in the 77 nm leg between Poland and Bornholm and 10 in the 105 nm section between Bornholm and Avedöre. See this page for an 8mm film clip of CS C.E. Krarup in the North Atlantic in the winter of 1959/60. Another joint venture was SCOTICECAN in 1963. The first SCOTICE section, 284 nm with 10 repeaters, from Gairloch, Scotland to Torshavn, Faroe Islands was laid by CS's Alert (4) and John W. Mackay and was owned as follows: 50% GPO., 25% Danish PTT., 25% Great Northern. The section Torshavn - Vestmannaeyjar, Iceland, 401 nm and 15 repeaters, also laid by CS's Alert (4) and John W. Mackay was owned 12½% Danish PTT and the rest by Great Northern. Both of the cables were manufactured by Standard Telephones and Cables Ltd. The ICECAN section was manufactured by Norddeutsche Seekabelwerke and ran from Vestmannaeyjar, Iceland, to Frederiksdal, Greenland 829 nm and 38 repeaters, wholly owned by Great Northern and Frederiksdal to Hampden, Newfoundland, 887 nm and 40 repeaters, 50% owned by COTC and 50% Great Northern. CS Neptun (3) laid the main cables with CS Edouard Suenson laying the Greenland shore ends, as well as a short local cable in Prins Christians Sund. It is not known if Great Northern made any cable keys. 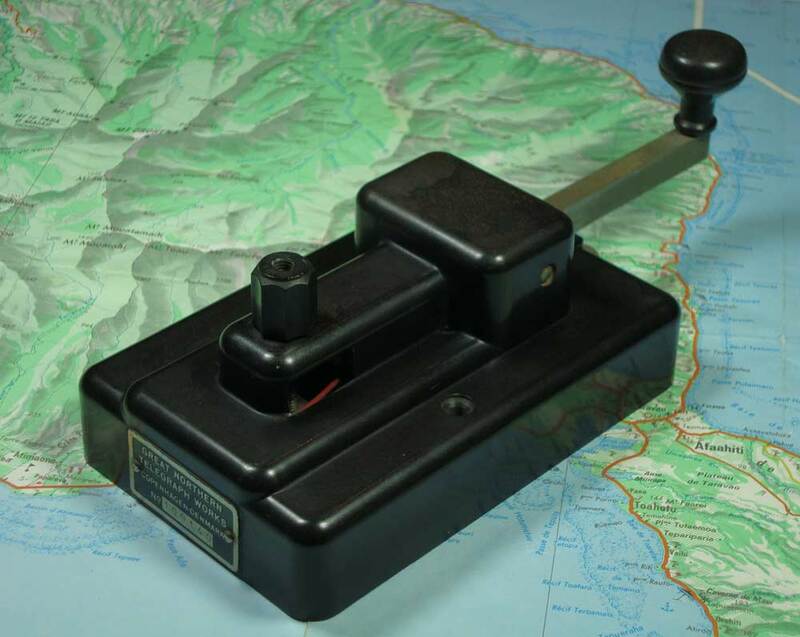 This model 605 landline key is marked Great Northern Telegraph Works, Copenhagen-Denmark and was made in the period ~1948 to 1969. Image courtesy of Christian Chefnay. The Company laid its first co-axial cable in the Far East in 1969 when in partnership with Kokusai Denshin Denwa Company (KDD) they linked Naoetsu, Sekiyama, Japan, to Nakhodka, Maritime Territory, USSR. 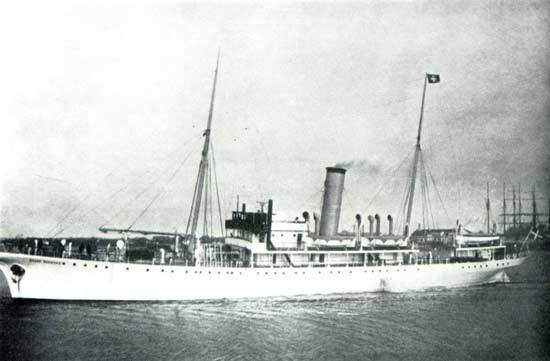 The United States Underseas Cables Corporation undertook the work as well as supplying the repeaters. CS KDD Maru was chartered to lay the 477nm cable, which was manufactured by the Ocean Cable Company of Japan. This was taken out of service in June 1996 and later used for scientific research. Another joint venture, this time with Tele Danmark, involved a 1250 km. fibre optic cable manufactured by Standard Telephones & Cables Ltd., and laid by MV Dock Express 20, between Copenhagen, Denmark, and Kingiseppe, Russia, where it transfers to a microwave link to Moscow and St. Petersburg. Another cable laid for the company, in 1999, ran from Sochi to Poti, Georgia and was manufactured by ASN. After the end of World War II the directors decided to diversify, and, using the reserves built up during the early years of the company, shares were bought in a number of companies, some of which later became wholly owned subsidiaries. Some companies were taken over completely and after a shaky start this proved very successful. 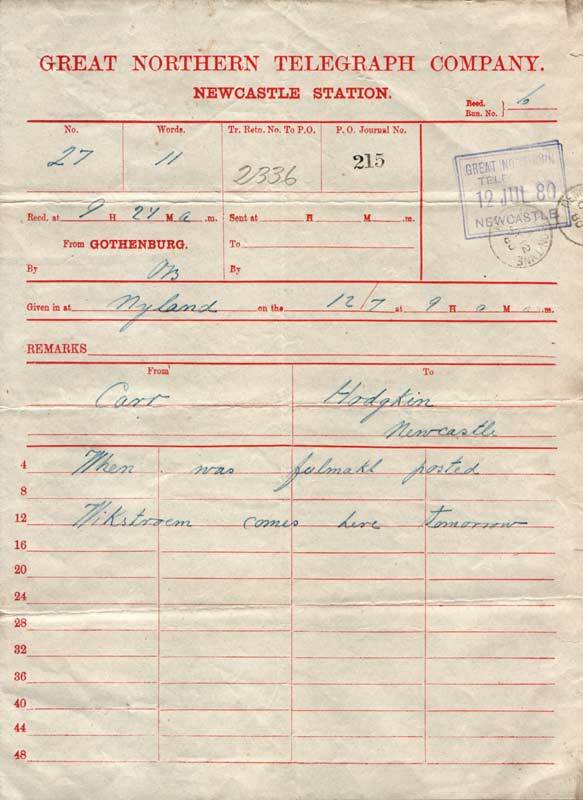 This scheme continued and eventually non-telegraphic activities were the main source of profits for the company. 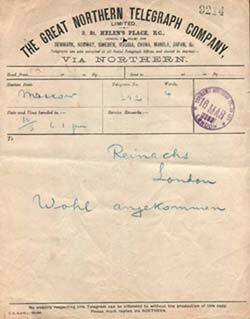 This company is now known as GN GREAT NORDIC and the Great Northern as GN Great Northern Telegraph Company. This was the first vessel to be designed and built for cable repair work; all previous vessels had been conversions. Fitted with three tanks (1) 17' 0" ft diameter by 5' 0" high. (2) 23' 4" diameter by 12' 0" high. (3) 19' 0" diameter by 7' 0" high. Each was fitted with a 5' 0" diameter cone, cable capacity being 8135 cubic feet. Two bow sheaves were fitted and a portable stern sheave for installation when required with a portable paying out gear also being available. A single combined picking up-paying out gear was mounted on the starboard side. Built in 1880 by Burmeister & Wain, Copenhagen. Fitted with two bow sheaves which along with the rest of the cable gear was manufactured by the Thames Ironworks Company. Three cable tanks were fitted. The vessel spent its working life in the Far East on cable repair work both for the company and on charter to the Japanese Government. Scrapped in 1923 in Shanghai. Built in 1903 by Burmeister & Wain, Copenhagen. Johnson and Phillips provided the cable gear which consisted of a double combined paying out and picking up machine. No paying out gear was fitted aft but space was available if needed. Three cable tanks were fitted 26', 31½' and 28' diameter respectively. The central cones were used for storing fresh water. Used in the Far East throughout her career repairing cables for Great Northern and the Eastern Extension who were part owners. Sold for scrapping in Bombay in 1950. Johnson and Phillips provided the cable gear which consisted of a double combined paying out and picking up machine. Cable storage capacity was 16000 cubic feet, stored in three tanks 23.6', 27.2' and 24.6' respectively. Only two bow sheaves were fitted. Worked in European waters for the company and also chartered by Western Union for Atlantic cable repairs. Sold for scrap in September 1968. Cable gear was the same as Edouard Suenson except that three bow sheaves were fitted. Cable storage was also the same. Used in the Far East until sold to the Mitsui Ocean Development & Engineering Company in 1969. Renamed Ohtaka. Built as the freighter Enigheden and converted for cable repair work in 1939. Renamed Kabel and used in European waters until August 1940 when sold to the Russians. Purchased in 1941 and fitted out for cable repair work in European waters. Refitted in 1945 and then used on restoring cables left derelict during the war. On 12 January 1947 while carrying out this work Karla struck a mine in the Gulf of Finland and sank. Built in 1962 by Bijkers' Aannemingsbedrijf, Gorinchen. Launched as the freighter Sirpa Dan for J. Lauritzen, Copenhagen. Purchased in 1968 and converted for cable repair work. The cable gear from the Edouard Suenson was used with the steam engines being replaced by hydraulics. Three cable tanks were installed and three bow sheaves fitted, two flat and one V all 6.5 ft diameter. A bow thruster was fitted to aid manoeuvring. Used in the Far East on cable maintenance. In 1988 the vessel was purchased by Cable & Wireless (Marine) Ltd., retaining the name Northern. Based at Bermuda on Atlantic repair duties. 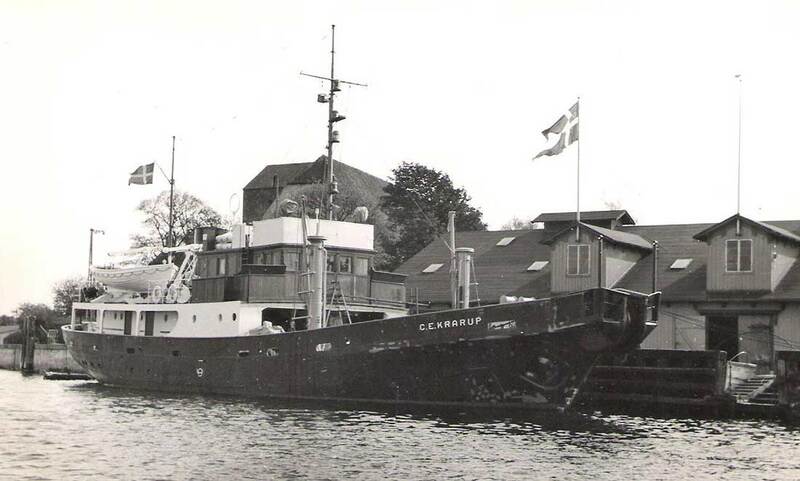 In 1990 converted to an oceanographical survey vessel and renamed Ocean Surveyor. 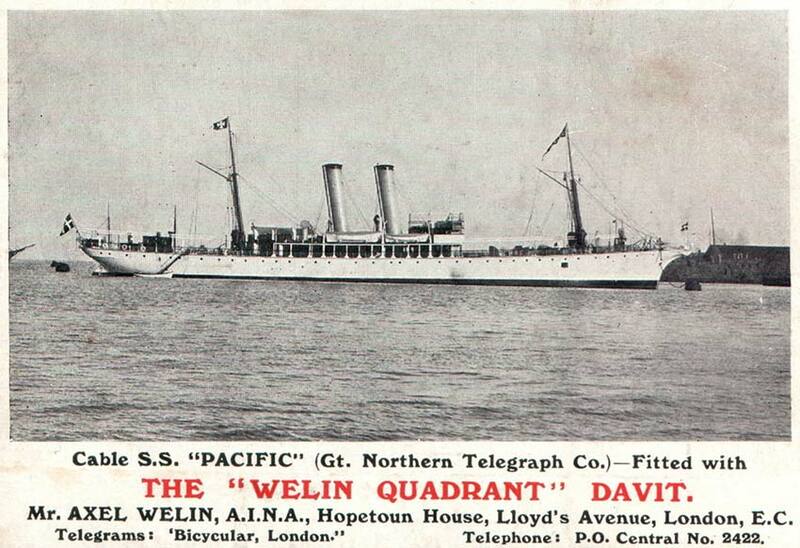 This was a joint venture between Cable & Wireless (Marine) Ltd. and Wimpole. Used during 1991-2 in the North and South Atlantic and 1993-4 in Pacific and Australian waters. Sold to Louis Dreyfus Armateurs S. N. C. Panama in 1995, retaining the name Ocean Surveyor. Loaned by the Danish Government to assist in the laying of the Far East cables. Used to land the Hong Kong shore ends. Further reading: J.T. Joergensen shares stories and photographs of his father's work with Great Northern, and other information on the company, on this Cable Stories page. See also the Great Northern Centenary Book, and this page on the company's Annual General Meeting Reports for 1883 and 1884.